Folded ears in cats have been reported as early as 1796. An English sailor returned from China with one of these cats and another folded cat was later discovered in China in 1938. It was however in Scotland where the breed's history began. William and Mary Ross owned the first Scottish Fold; discovered by William in a barn near Coupar Angus in Perthsire, Scotland in 1961. 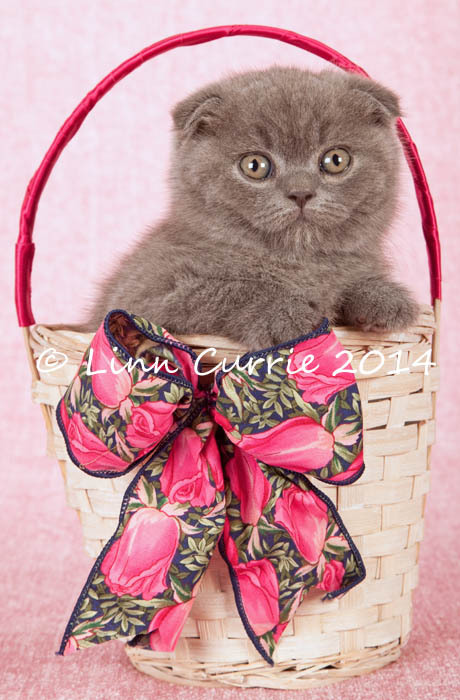 Hence the earlier name of the breed being the Coupari (usually associated with the medium hair Scottish Fold). Earlier than that the breed was named after Lop rabbits: which comprise of several very popular breeds within the rabbit fancy. If interested Google the English Lop as an example of a beautiful example of one of the Lop breeds. Sadly not available in South Africa. The white kitten discovered was named Susie. Under the guidance of English geneticists, Susie went on to produce seventy-six kittens in her first three years. Forty-two with folded ears and thirty-four with straight ears (also referred to as variants or Scottish Shorthairs). 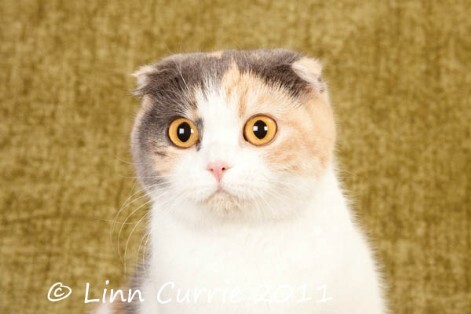 This clearly proving that the Scottish Fold (the breed's name used as of 1966) was the result of a (incomplete) autosomal dominant gene. 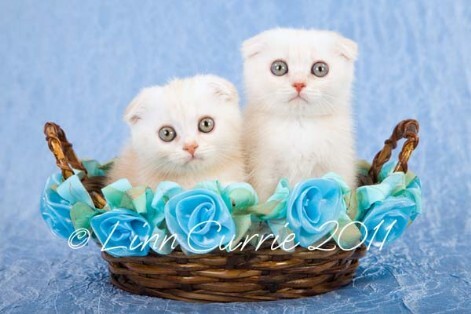 The only one of these kittens kept for breeding was another white kitten, named Snooks. Sadly Susie was run over by a passing car when Snooks was three months old. Though the breed is traced back to Susie in Scotland (and possibly originating from the folded cats in Asia? ); its true development can be attributed to the Americans, Canadians and Australians from the 1970's onwards; firstly in 1970 by Dr Neil Todd from Massachusetts. Originally outcrossed to domestics and British in the UK; the Americans and others used American Shorthairs and British. American Shorthairs were eventually discontinued. Within SACC the Persian and Exotic are allowable outcrosses to make allowance for the breeding of the long haired version: the Highland Fold - recognised since the mid 1980's. Outcrossing to British, Persian or Exotic is vital for genetic diversity, but also to avoid Osteochondrodysplasia (OCD). OCD is a developmental abnormality that affects the cartilage, thereby causing the ears to fold forward. Fold to Fold matings result in kittens with malformed bone structures and suffer from dreadful painful joint issues from an early age. For this reason only the most responsible of breeders should consider taking up the breed's cause. The truth of the matter is sadly even outcrossed kittens are at times negatively affected. With careful breeding this limits itself usually to tails that vary in flexibility. Variant (straight eared) kittens remain unaffected. For this reason, be sure that you get your kitten from an ethical and responsible breeder.